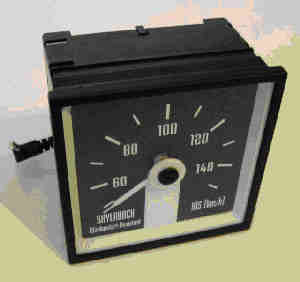 A Telemetric system to display glider air speed at the winch. This system does not only help increase safety, but also launch heights. The glider’s air speed can always be kept in the approved region. Instructors and winch drivers can adjust themselves with the telemetric system. Less cable or weak link breaks happen, usually occurring in stronger wind at the top of the launch if the throttle has not been reduced sufficiently. Release heights are higher because the pilots fly in an optimum climb angle without being afraid of a stall or a cable break. Take off and rotation of the glider are controlled as usual without using the speed display. Later, the throttle position can be checked every 2-3 seconds by having a short look at the display and be adjusted smoothly if necessary. The winch launch assistant consists of a transmitter unit with integral differential pressure sensor for the glider and the receiver unit with an LC display to be installed in the winch. During the launch, the system transmits the glider air speed to the winch without any manual command needed. The transmitter (in the glider) turns on automatically when a speed of 50km/h / 30kts is superseded and transmits the glider’s air speed for 60 seconds (a special version with 120 seconds is available for extra long airfields). Afterwards, the transmitter turns off automatically. After a landing, once the transmitter has been measuring less than 30 kts for more than 30 seconds it is reset, ready and standing-by to transmit again. It will transmit again once the glider has superseded 30 kts. (power is provided by the glider’s 12 volt battery). 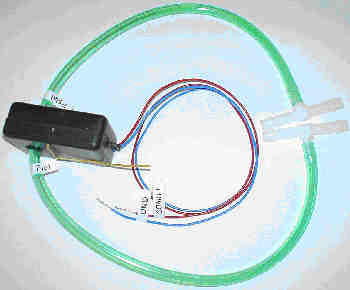 The receiver (in the winch) can be connected to the ignition switch (12 volt DC) for turning on and off automatically. This way, the system works without any manual operation. Displays glider airspeed in the winch cab. With large LCD, backlight, external aerial, analogue and serial output. Alternative frequencies for use in the USA, Australia, etc are available at £25.00 per unit. Note: For Aluminium or Carbon Fibre fuselage Gliders add £12.00 - please advise when ordering.